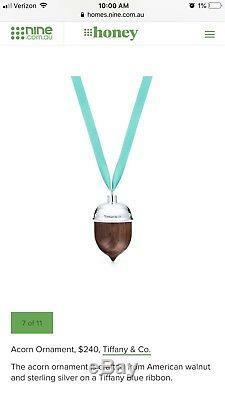 This is a Tiffany & Co. Sterling Silver and American Walnut Christmas ornament, in the shape of an Acorn. We received it as a gift, and it has never been used. 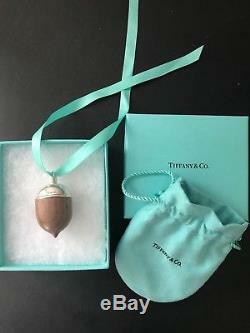 It is new, in the box, with a beautiful Tiffany satchel to protect the ornament. It would make an incredible gift for the right person. 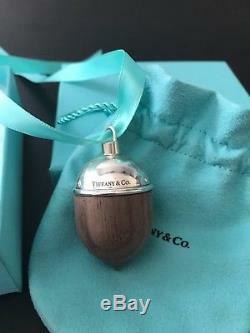 The item "Tiffany & Co Sterling Silver and American Walnut Acorn Christmas Ornament $240" is in sale since Sunday, November 18, 2018. This item is in the category "Collectibles\Holiday & Seasonal\Christmas\ Current (1991-Now)\Ornaments\Wreaths". The seller is "middle4206" and is located in Knoxville, Tennessee. This item can be shipped to United States.